All 320 Newbury St basement lockers will need to be cleaned out by building close on Sunday August 25. At 9 am Monday August 26th, we will clean out all student lockers, and the contents will be recycled and/or thrown out. 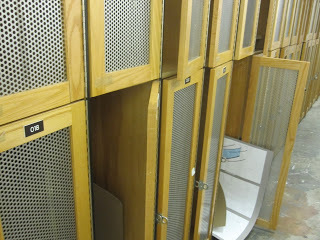 Faculty lockers will not be cleaned out, however, if you no longer require a locker, please contact The Office of Student Activities and let us know. If you have any questions, please contact Becky Anderson, Coordinator of Student Activities.